OpenProcurement is an open source e-procurement toolkit distributed under the Apache license. 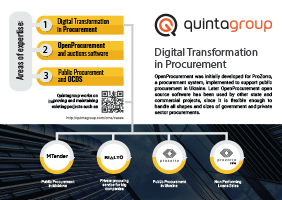 The main aim of this toolkit is providing the tools to design and build a procurement process that is transparent, effective, and competitive. The toolkit builds accessible processes that leverage auctions to drive savings and are backed by strong data collection and reporting. It is designed to be automated and scalable. 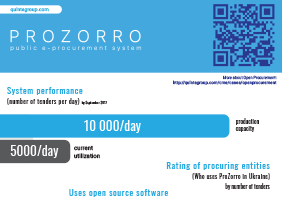 OpenProcurement was initially developed for ProZorro, a procurement system implemented to support public procurement in Ukraine. Later OpenProcurement has been used by other state and commercial projects, since it is flexible enough to handle all shapes and sizes of government and private sector procurements. Procurement / sale / purchasing processes are automated and scaled. Supplier base and market shares are increased. Procurement / purchasing workflow are defined and enforced. Input data, procedures and organization are standardized. Reliable procedures supported by automated test stand. Auditing and event tracking via log server. The basic toolkit, that comprises storing data and conducting auctions, is free. The toolkit's Data Standard was developed on the basis of Open Contracting 1.0RC. These data standards were extended to ensure practical implementation of the procurement process in the Prozorro system. OpenProcurement contains a Central database (CDB) and an API (REST-ful interface based on the JSON notation) via which specialized commercial web platforms can interact with CDB. Web platforms implement e-Procurement system features and provide access for organizators, participants and regular visitors. 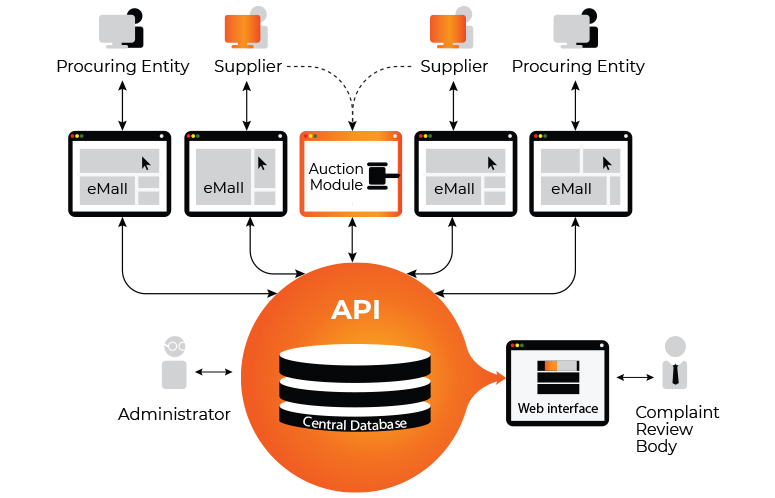 Web platforms interact with the CDB via OpenProcurement API and provide suppliers with temporary credentials to access the Auction module for participation in the auction. What technologies are used here? The technical specifications of OpenProcurement are intended to provide a functional solution that will be flexible enough to work with different standards and varied applications. The toolkit was developed with Python, Pyramid, Angular.js, Bootstrap, Flask, CouchDB, PouchDB and other powerful open source web technologies to ensure reliable functionality and secure workflow. The Open Procurement toolkit was designed specifically for the procurement of goods and services on behalf of public authorities. Public procurement has specific requirements to the accessibility and transparency of procedures. This solution enforces (where appropriate) and encourages recognised best practices during the whole tendering process. The Open Procurement toolkit uses electronic documents, strict qualification requirements, transparent system of proposals evaluation and awarding, effective reverse auction and open access to the procurement data. Yes, free OpenProcurement software can be used for development of custom commercial solution and even its sale. Parts of the OpenProcurement toolkit (e.g. Central database or Auction module) can be used together or separately for any commercial projects. Yes, it was used in several different projects. 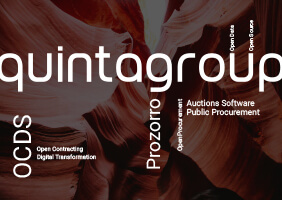 Read more about OpeProcurement toolkit implementation for ProZorro, ProZorro.sale, and Rialto projects. If my web platforms is written in X programming language, can it work with this toolkit? The Open Procurement toolkit was designed with the flexibility in mind. Regardless the programming language or any other technology specifications any web platform can seamlessly interoperate with the Central Database via an API. The API is part of the toolkit so that web platform can provide suppliers with temporary credentials to access the Auction module for participation in the auction.